Hola Estrellitas!! 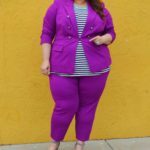 I took a few pictures the other day, after I wore this outfit for an event that I attended and I wanted to share the look details with all of you. 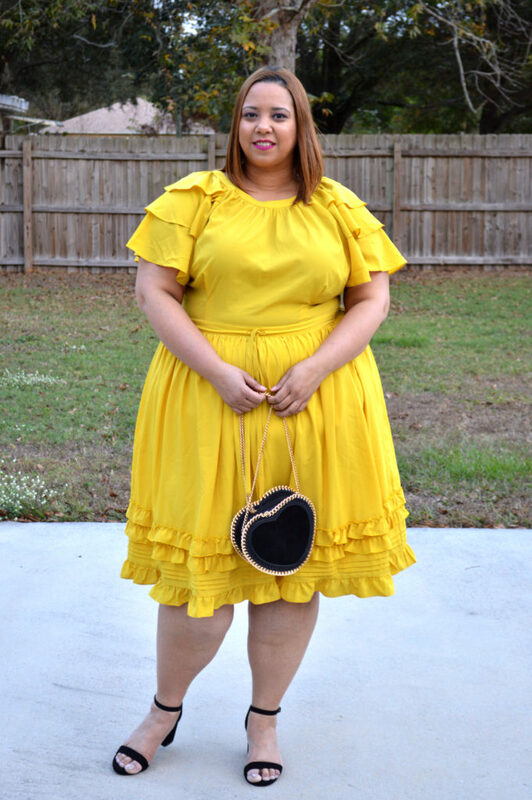 I have been stalking this dress on the Eloquii website for a few weeks now and I took advantage of their sales during the holiday season to buy it. I couldn’t decide if I wanted to wear it with black or yellow shoes. 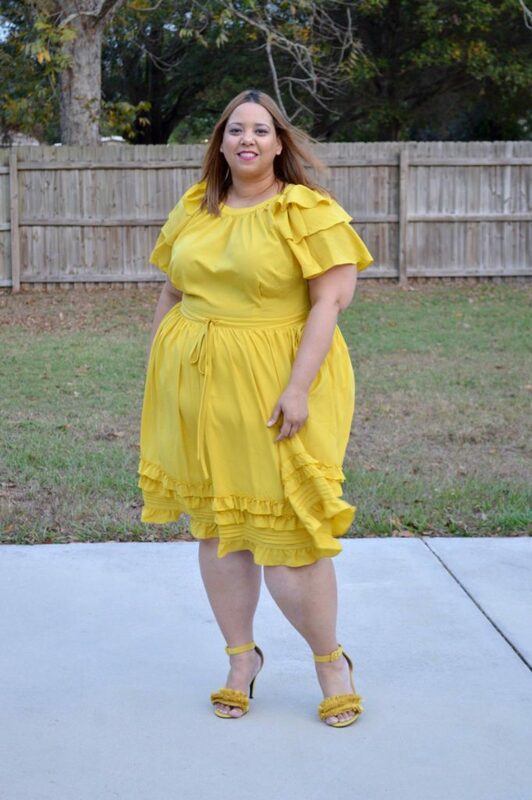 I love monochromatic looks and that is why I tried it on with the yellow shoes but the black ones looked so simple and elegant that it was difficult to choose. I took pictures with both shoes just because I can!! LOL…But I went with the black ones. This look might be too much for some people but I absolutely love it. 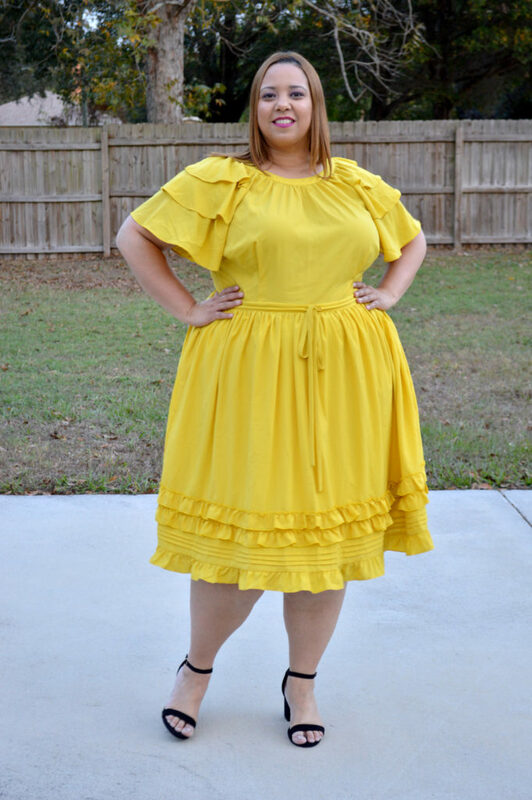 This dress reminds me of Beyonce in her lemonade video. 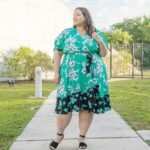 Chunky heels are very in right now and for us plus size girls, they are perfect. The ones I wore, were about 2 inches high, which is a very comfortable height for me. 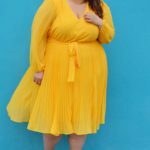 One thing about this dress is that it is not as bright yellow in person as it is on the Eloquii website, I had to mention this because I felt it was important. After all, It is what attracted me to the dress, the color. I mean that is not a bad thing, it is just not too bright, just a FYI in case you were wondering. What do you guys think of my look? Let me know in the comments. LOVEEEEE everything about this dress on you!! You look great!